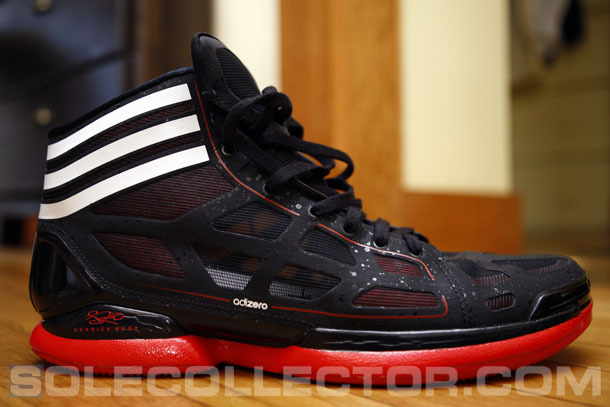 After just one wearing of the adidas Crazy Light, Zac shares his first impressions of the lightest shoe in basketball. Following a season that’s almost been defined by the word “options” when it comes to the sneaker world, it seems very fitting that heading into the playoffs, the most talked about new shoe would come from a smaller brand – at least in terms of their hoops market share. 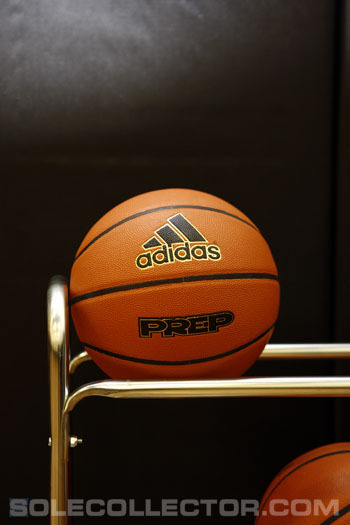 This past Thursday, adidas officially unveiled the adiZero Crazy Light, which, at 9.8 ounces, gives them bragging rights to the lightest shoe in the sport. And while their claims of it being the “lightest basketball shoe on the market by more than 15% over the next lightest shoe” is misleading – there are low-tops that are closer – it doesn’t take away from the fact that it is a major accomplishment to break the 10-ounce threshold. After the NYC launch on Thursday, which was also broadcast on Facebook, members of the media were able to give the Crazy Light a run. While the Sharp Blue colorway seems to be getting the most attention, I had the DRose version on my feet. * When holding the shoe in your hand, even in my size 13, it felt very light. It should have that same perceivable “wow factor” on shelves, in comparison to the shoes it will sit next to. 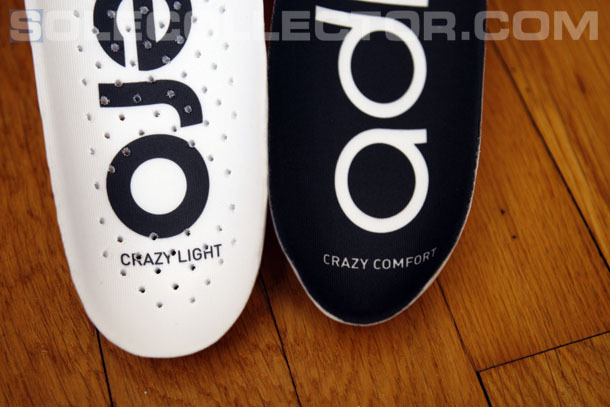 * The shoe comes with two different insoles – “Crazy Light” and “Crazy Comfort” options. The “Crazy Light” insole is fully perforated for maximum weight reduction, and is the option you’ll want if you want to get all the way down to the advertised 9.8 ounces. The “Crazy Comfort” version features a much more dense foam, which is heavier, but should offer more cushion and protection. I played in my own orthotics, but I’ll be giving both insole options a run for my full review. * Step-in comfort is very impressive. The shoe fit true to size, and the flexible upper hugged my foot closely. * The collar appears high, but thanks to the angle that the heel dips to, it doesn’t feel overly restrictive. It’s not overly padded, but comfortable. * I’ve seen skepticism that the heel counter is “too low.” In reality, it’s very comparable to the competition. The difference here is that while it is an external counter, it’s not entirety visible due to the construction. 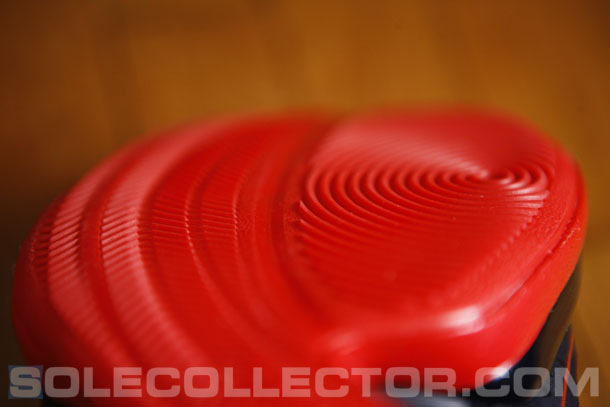 The upper is stitched over a portion of the counter, which continues underneath it. While it may appear low in product shots, the support doesn’t end until about midway into the bottom Stripe in the heel. The heel counter works well and there’s no reason to worry about it. * When I laced up tight, I had my first complaint. There’s an area at the front of the shoe where the vamp, toe piece, tongue, and an additional reinforcing underlay all come together. The underside isn’t as smooth as you’d hope for, and I had a bit of rubbing and pinching here. If you have wide feet, this may be an area of concern. * I’m a fan of the adizero Rose and 1.5, but the cushioning was just not protective enough for me. Considering that the Crazy Light is substantially lighter than the Rose line thus far, I had low expectations for the cushioning. And I was wrong. I wouldn’t say it’s extremely responsive, but this foam is much more forgiving than the Rose line, and offered solid impact protection. The closest comparison I could make would probably be to the Under Armour Micro G Lite, just in the way that both shoes feature a sizable slab of foam that offers a nice cushioned ride, without any overly responsive zones. 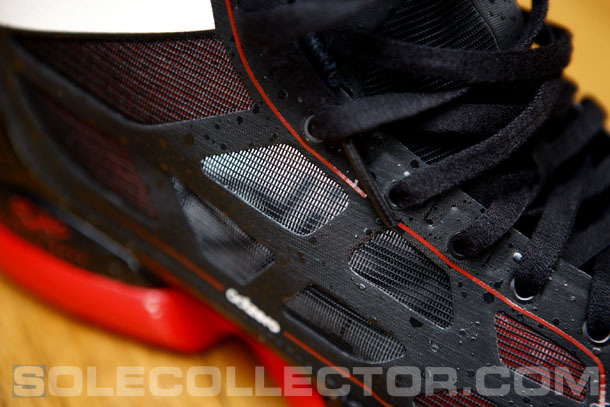 It’ll be interesting to see how the foam-based cushioning holds up over an extended period of use. * The Hyperfuse seems to be a shoe that’s being compared to the Crazy Light. The aim of the Hyperfuse however was new construction, durability and breathability, rather than being the lightest shoe available. It wasn't even Nike's lightest non-signature shoe of the season. But since the comparison is being made, I’ll say that the Crazy Light is very noticeably lighter and has slightly better breathability. As for durability, only time will tell. But the Hyperfuse has proved itself to be excellent in that area. * Lateral stability felt solid. The biggest and strongest players will inevitably want more, but the stitching of the upper to the Sprint Frame method of construction felt secure. Also, not easily visible from pictures, is a reinforcing layer that wraps the toe all the way from the medial to lateral ball of the foot, to help keep your foot from sliding off the midsole during cuts, and to build up durability. * The traction was absolutely outstanding, but we happened to be playing on one of the most pristine courts I’ve ever played on. According to an employee at the facility, the gym was only built a few months ago, and had only been played on once before. That said, it will be interesting to see how sticky and reliable the traction stays in real-world conditions, but things look promising. As the strong front-runner for MVP, and playing on a team many are predicting to make a lengthy playoff run, the timing couldn’t have worked out much better for adidas to have Derrick Rose debuting the shoe, which he first wore against the Pacers in yesterday’s win. He just so happened to conveniently go off for a career high in his first Crazy Light outing. After a single run, I’ve been very impressed with the Crazy Light myself. There’re definitely areas I have concerns about, such as the overall stability, and how well the cushioning will hold up, but so far, so good. They’re perceivably that light, and the breathability, fit and ride are all impressive. I’m really looking forward to an extended testing period with these. Check back soon for an in-depth interview with the design and innovation team behind the Crazy Light, and for a complete review of the lightest shoe in basketball.